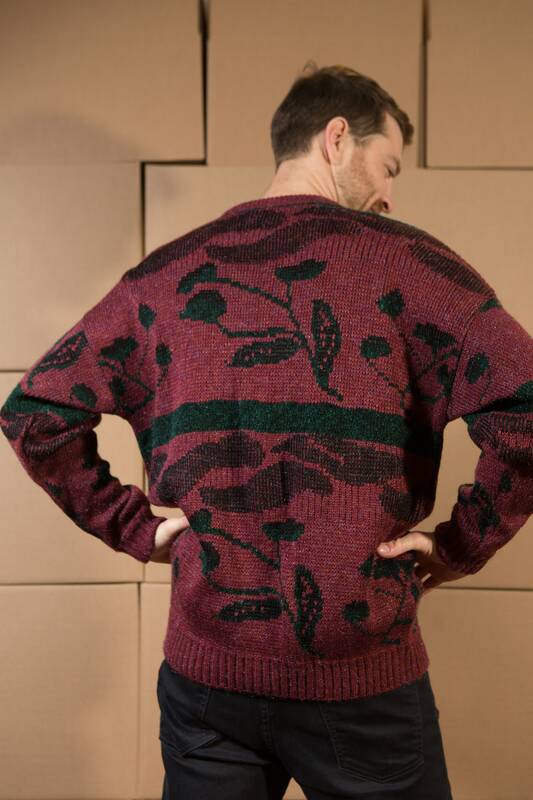 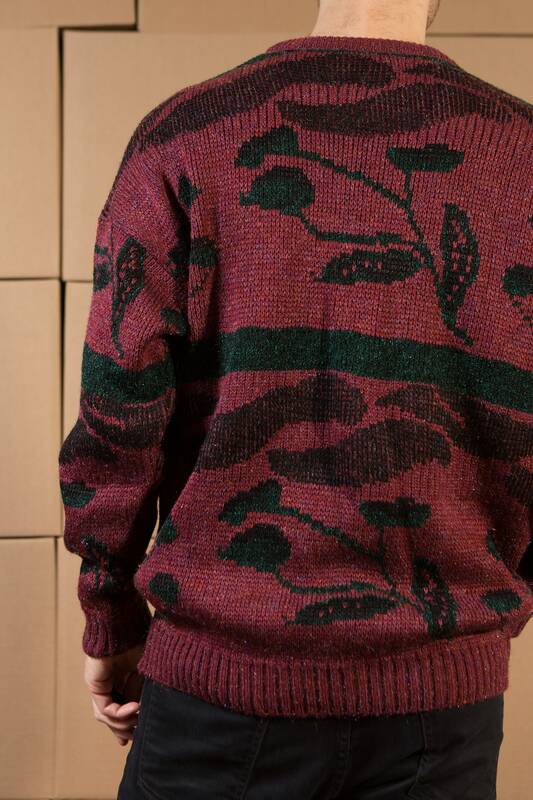 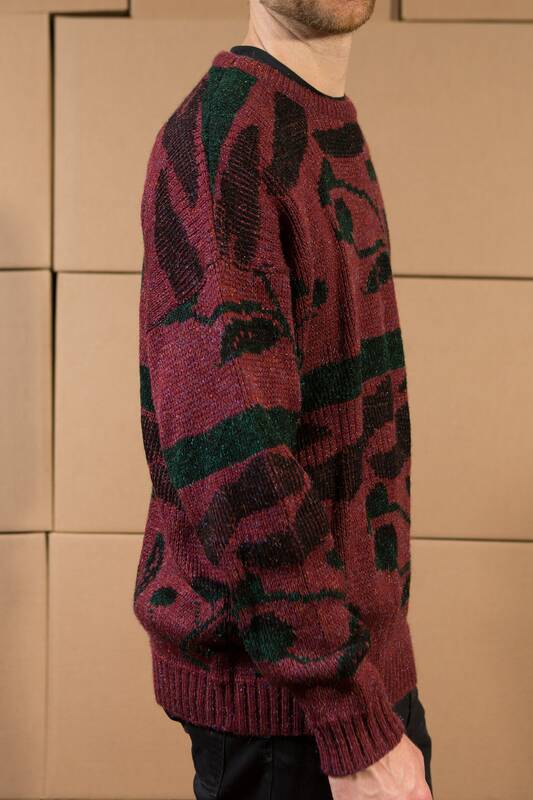 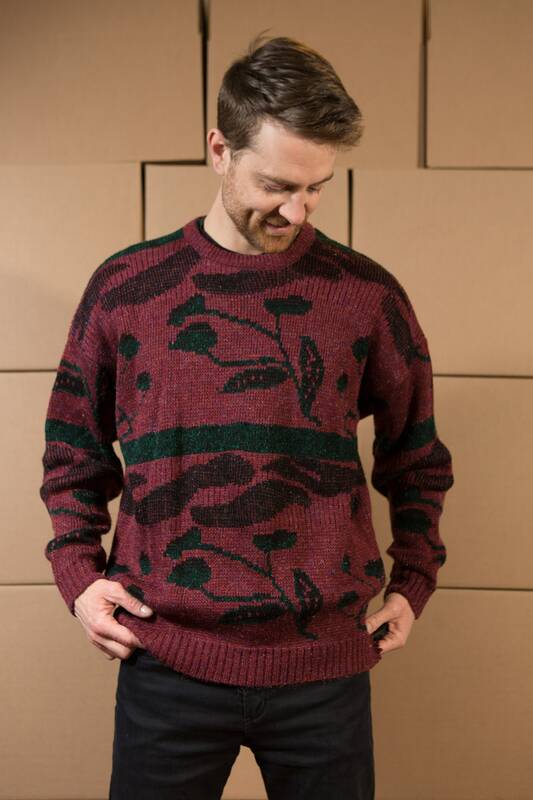 This is a burgundy red sweater with green leafy branches. 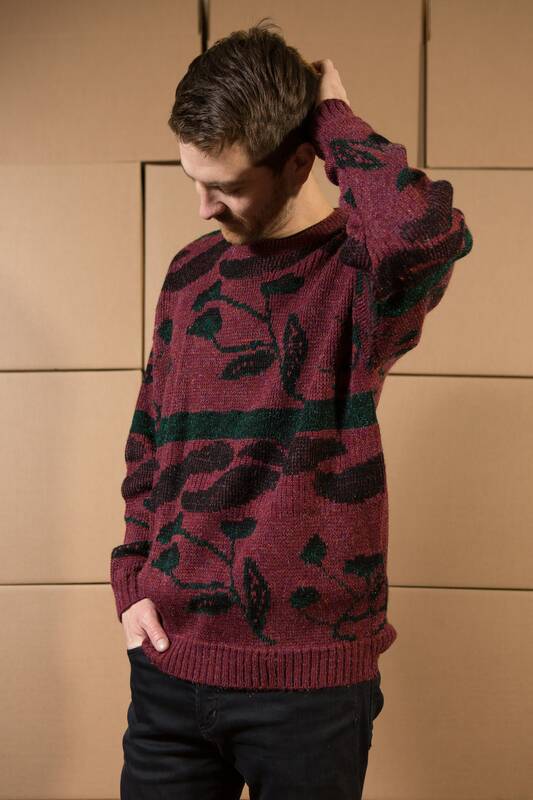 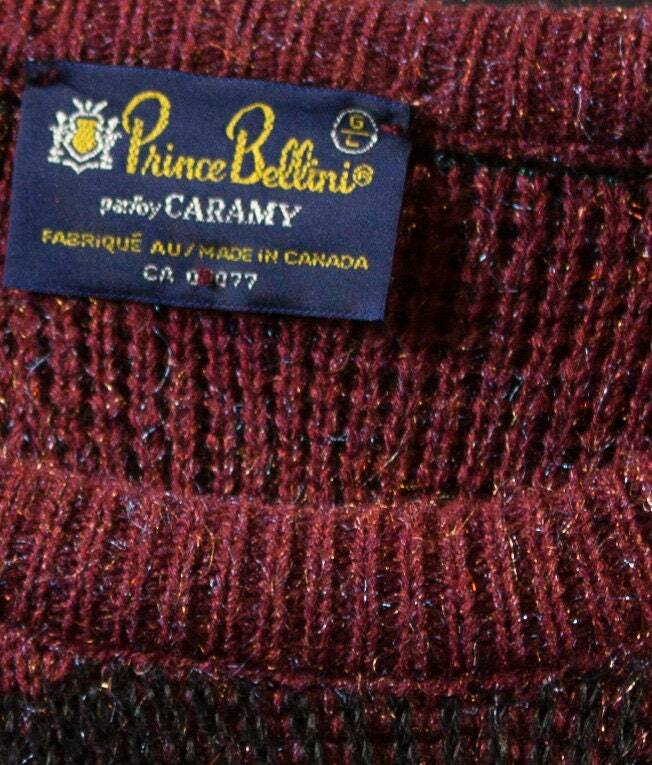 It's a beautiful foliate pattern and the sweater has a shiny metallic material in it. 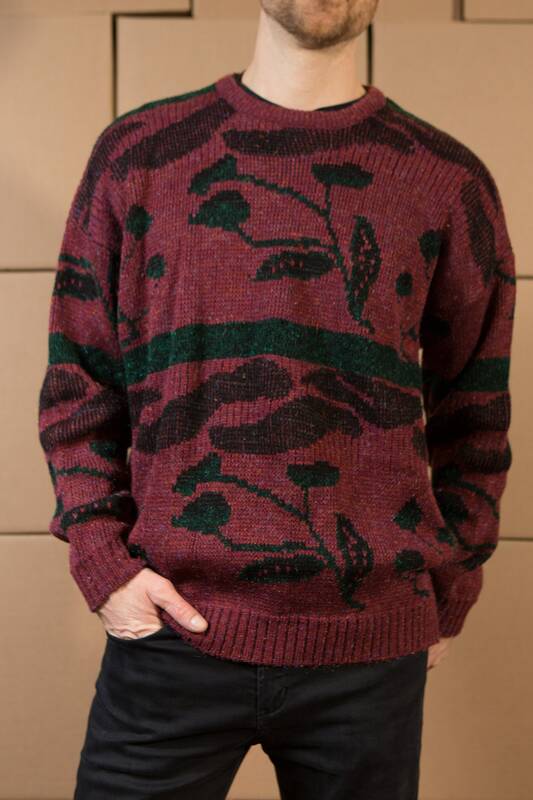 Has drop shoulders.